As players explore the deepest oceans, they can come across buried treasures, new aquatic items, and sunken starships. The underwater starships that can be located will be able to be repaired and restored for players to use in their interstellar travels. Accompanying players on their underwater journeys will be No Man’s Sky’s newest submersible vehicle, the Nautilon. This new vehicle will aid players with their exploration, combat, and mining as they explore the depths. The Nautilon itself can be fully upgraded and customized, and can be summoned to any of the game’s oceans and docked at underwater buildings. Along with the Nautilon, players will also receive the new diving helmet, the Lost Bathysphere, which can be fully customized to stand out from other players. 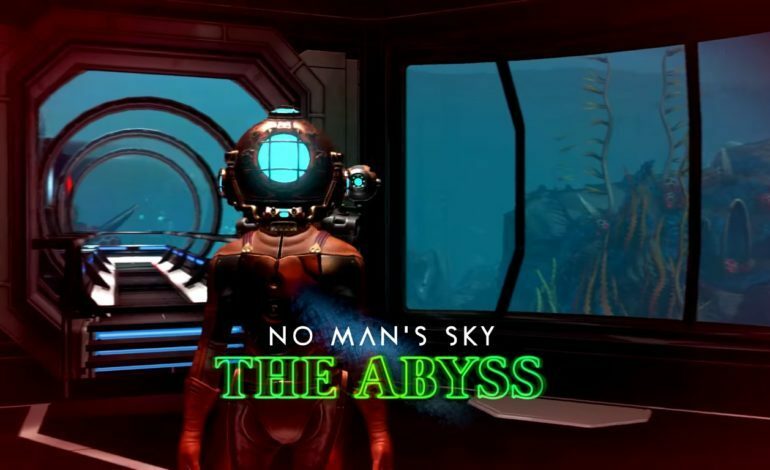 The Abyss update also introduces a plethora of new base parts. These new base parts can be used to construct new types of bases underwater. These bases will allow players reach deeper parts of the oceans or allow for players to observe the beauty of the game’s deep seas with viewing bays and multistory submersible view domes.